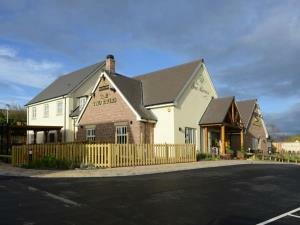 The Two Rivers is a newly built 23 bedroom lodge style accommodation. Situated on the A48 within minutes of the M48, the Two Rivers is an ideal location for the business or leisure guest. Enjoy free Wi-Fi in all rooms bar and restaurant. Restaurant and bar,wifi available free on whole site Children welcome from any age. Located on the main A48 Newport road about a mile from Chepstow town centre.